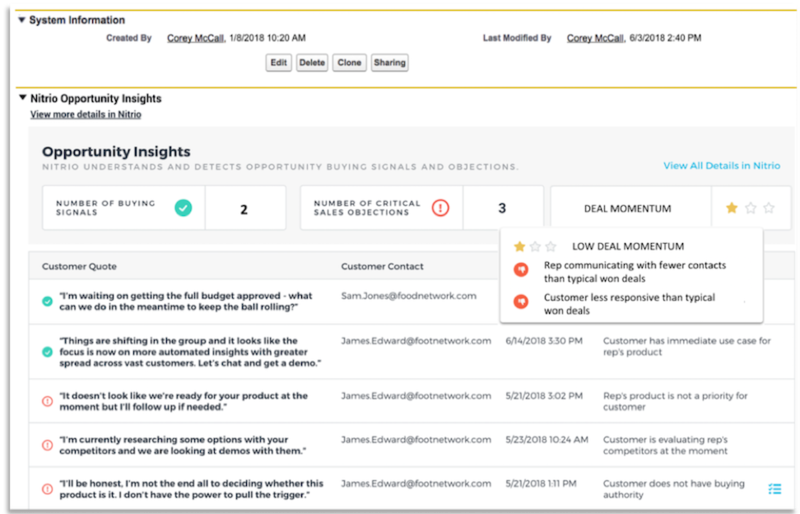 Nitrio’s technology enables AI-powered sales applications that actually listen to the customer. Know the best rep to handle every situation, and what content to use based on what has worked (or not) in similar past situations. Reps ramp faster using Nitrio for real-time coaching. Nitrio’s AI listens directly to the customer. This means that it can do CRM data entry for you, enforce the latest playbooks, and make sure you never miss a follow-up. Reps close more deals with Nitrio as a co-pilot.